Did I finish? : Yes, I raced through it. One-sentence summary: The story of two Romanian Jews, orphaned after WWII, and their tangled relationship with their faith and community. Do I like the cover? : I do -- it indicates a very specific scene and captures the austere feel of the community. First line: Light, fast, Zalman's heels rapped the ground as he ran, naked, down the center aisle of the House of Prayer. Buy, Borrow, or Avoid? : Borrow or buy -- this is a fast read, sad but beautiful, compelling, an immigrant narrative and a story of faith. Why did I get this book? : I am fascinated by conservative religious communities, and I love anything WWII related. Review: I started this book on Friday morning and I had to make myself put it down to go to bed Friday night. I then ignored my wife Saturday morning to finish. I raced through this book because I loved the two main(ish) female characters; their world might have been alien to me but I felt like I knew them, and I had to know where they ended up. This is essentially a family saga, beginning around World War II and ending in about 2007. 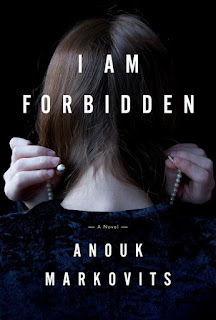 Starting in Romania in the late 1920s, the story roughly follows two Jewish children, Josef and Mila, who are part of a conservative Hasidic sect. Orphaned by violent antisemitism and World War II, Josef and Mila are taken in by Zalman Stern and his family; Josef is eventually sent to New York City to study with the community's beloved rabbi while Mila moves with the Sterns to Paris. Mila becomes close to Zalman's daughter Atara. Faced with the secular world so directly, the Sterns also struggle with the changing mores and values in the Jewish community -- Zionism, reform movements, lingering antisemitism -- and eventually both Mila and Atara are sent to a conservative seminary to study before their arranged marriages. It is there that Atara and Mila discover they want different lives: Atara wants to go to university while Mila wants only to make a good marriage. This is a novel about community, belonging, faith and family, about love and desperation and everything in between. It's a meaty story that reads airy, and despite the fact that I know nothing about this religious community, I understood and empathized with the characters. They were so real, and so human, and I they captured me from the first page. I miss them already. 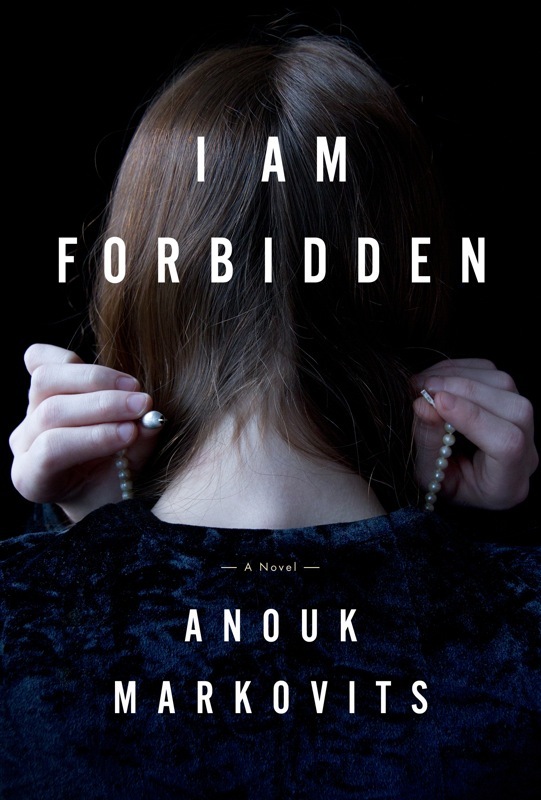 I'm thrilled to offer one lucky reader a copy of I Am Forbidden. To enter, fill out this brief form. Open to US/CA readers, ends 5/25. I have the digital ARC of this book, and I'm reading now....I too am fascinated by WWII stories and extreme religious views. Thank you, Anita -- wait until you get to the end. So.good. For such an alien world, Markovits made her characters so real and relate-able -- I felt I knew them. I read this Saturday and LOVED it. I could not put it down, which is why we ate dinner at 9:30 Saturday night. Thankfully, the hubby was as into his current video game as I was into this book. I was surprised how much it read like a thriller. And I concur about the cover--I wish more covers evoked specific scenes from books. Now, whenever I see that cover, I will remember that scene, this book, and have no question that I have, in fact, read it. Everything about this book won me over -- I couldn't believe how fast it read -- such a complex story told so easily. And it did feel like a thriller -- I raced through it. Gah, so good -- I could easily reread it. I miss Mila already! So glad to see you enjoyed this book, as I'll be reading it soon for the tour. Thank goodness you can follow it without knowing much about their community. I suspect you'll really enjoy this one -- it's not v WWII oriented but obviously that shapes the characters immensely. Oooh, this sounds so good. That it reads like a thriller is especially interesting. Thanks for the review! I hadn't heard of this one. It strikes me as a book you'd enjoy -- the mood is moody but not dark, dramatic without melodrama, and lovely passages. I'd be happy to send you my copy if you'd like it! It's sooooooooo good -- once you start you really can't put it down! This book sounds really interesting. I love when you pick up a book and can't put it down. I will have to pick this one up. I didn't expect to get so sucked in -- I thought I'd want a break from the story but I couldn't stand to stop -- divine! Funny timing--I was just shelving this book in my store this morning. I'll clearly have to take a closer look at it now! Do, do -- it's soooo good!! Wonderful debut from Hogarth -- really excited for their next offerings. I can't wait to see how Anna likes this one too...I'll likely borrow her copy at some point. I was very drawn to this story, too, Audra. For me, it was a very piercing look at how legalism simple doesn't work, and it made me very grateful for the New Testament which tells us we are saved by grace rather than being slaves to the law. To sin. As you can see, it spoke to my religious side, but I also lived the Writing and the Story. This looks REALLY good. (Forgive me if I entered twice).. but I had a minute to look at another review and I am sold. Marie, you are forgiven! This was *such* a good book. The scope of the book reminds me of DISPLACED PERSON, and that was one of the things I enjoyed most about that book. I'm excited to check out this one - it sounds like something I'd be completely drawn into. Oooh, will need to look for Displaced Person -- sounds v good! I love reading books about different cultures and I know I would love this one. I am really hooked on Lisa Sees' books and this sounds super.